Minnum adapts to you and your city. NECK ROLL LUNAThe LUNA neck roll supports baby’s head and neck for a fully relaxed sleep while travelling. With the WALLABEE baby carrier, you can hold your baby close at all times – on either your front or your back. Ergonomically designed in line with your baby’s anatomy; with a wide shoulder strap and stable hip strap to ensure maximum comfort for the wearer. Crosswalk Convert is the new high performance all terrain pushchair with compact folding system. Sophisticated in the city and solid in the country, these characteristics make it the perfect pushchair for all lifestyles. 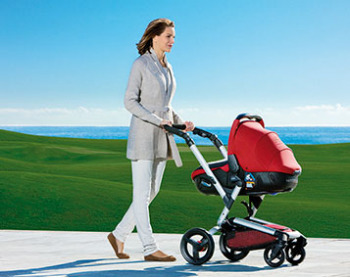 Its advanced features make the Crosswalk Convert a nimble, easy to anoeuvre pushchair. Folding seat for babies that converts into a high chair. It can be fitted onto the adult’s chair using two fastening straps. It includes a seat belt. Tray and padded upholstery that can both be removed making it easy to clean.- Fabric with a plastic coating. - Water-resistant. Collapsible + Telescopic Folding System. Extendable from 90 to 130 cm. 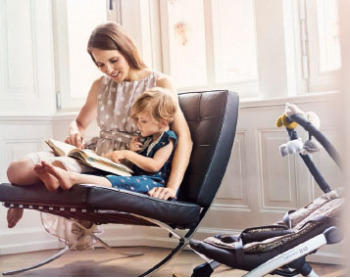 New reclining highchair with 5 positions, with a modern aluminium chassis. Flexible and folding carrycot suitable for use from newborn. Umbrella folding system double pushchair, flat tube, 100% aluminum.